Awhile back I bought the soft as snow outfit. Grace was wearing it so I took some pictures of it. 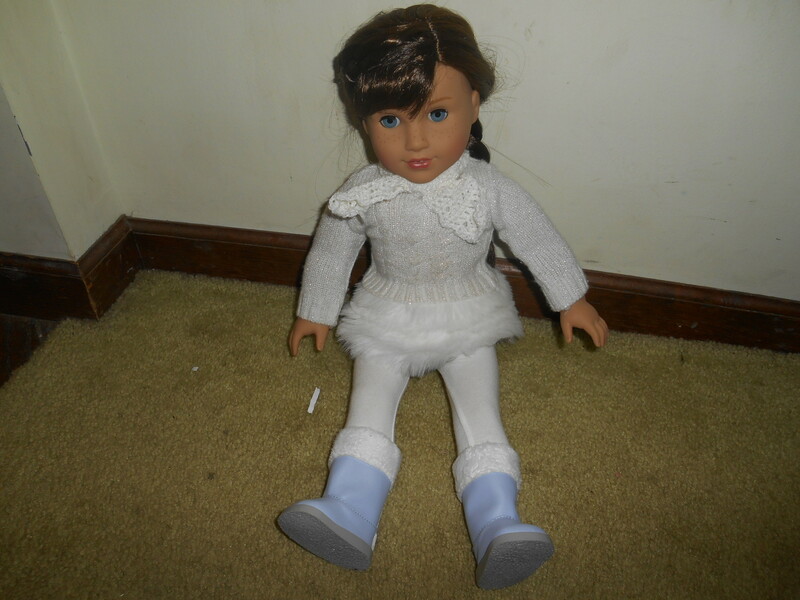 It comes with the sweater, skirt, leggings and boots. 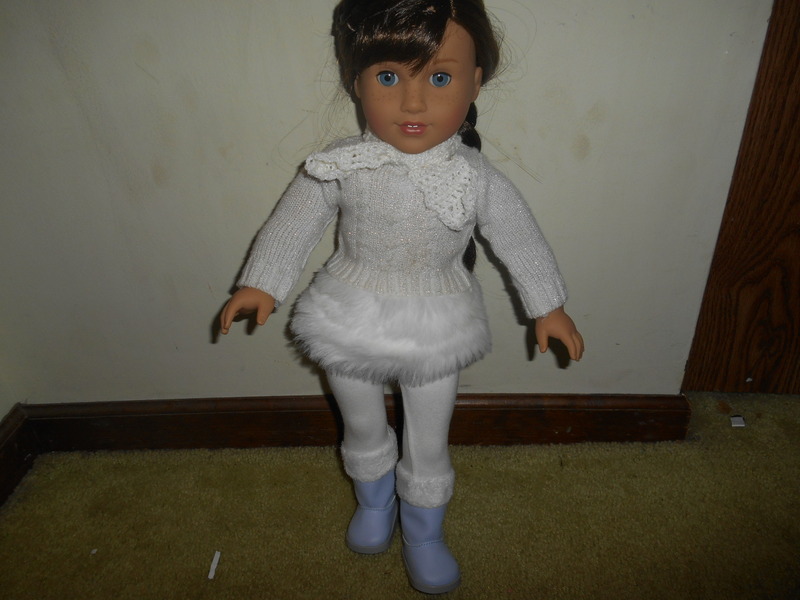 I absolutely love this outfit, I like the sweater and fuzzy skirt in white with purple boots. Her is the back. The sweater opens completely and the boots have Velcro at the back. Here she is sitting down. 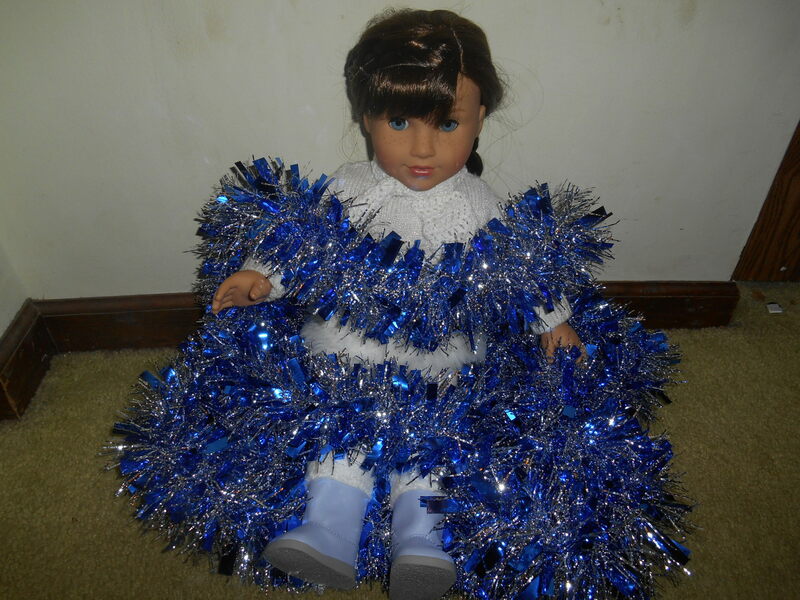 And it looks like she got tangled up in tinsel. 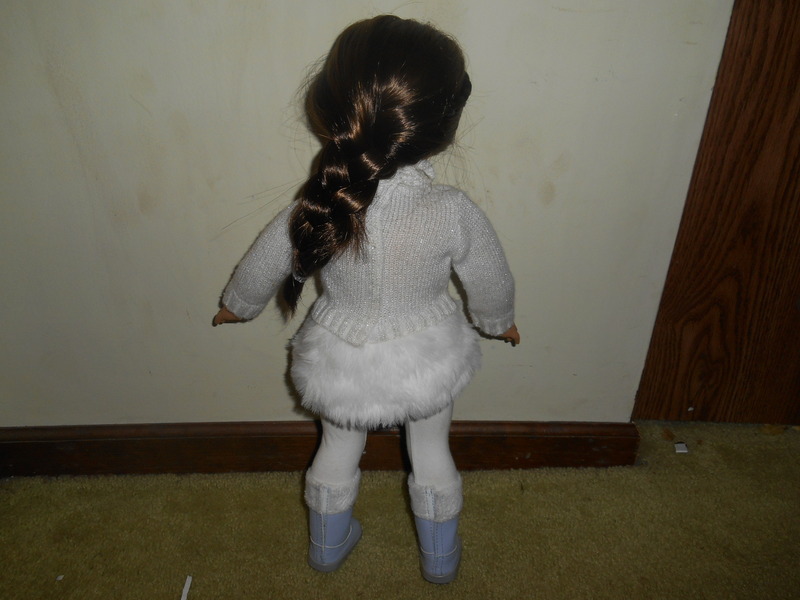 ← New My American girl line?